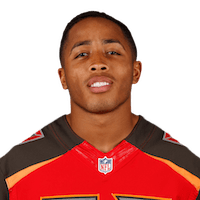 Bailey (ankle) could be back to full health by the time Tampa Bay's offseason program begins this spring, Scott Smith of the Buccaneers' official site reports. Bailey (ankle) was placed on injured reserve Saturday, the Buccaneers' official site reports. Analysis: Bailey made a decent case for a 53-man roster spot before the ankle issue surfaced, but it now appears he will sit out the 2018 campaign after undergoing surgery Saturday, per Jenna Laine of ESPN. If he remains on the list all season, Bailey would get his next chance to state his case in 2019. Bailey won't play Friday's preseason game against the Lions due to an ankle injury, Scott Smith of the Buccaneers' official site reports. Analysis: Bailey has had a solid preseason with five receptions for 73 yards and one touchdown through the first two contests. He also rounded out his value with special teams duties. The third preseason game is the final dress rehearsal for starters, so sitting out may hurt Bailey's chances to secure a spot on the 53-man roster. Bailey brought in one of two targets for a 21-yard touchdown in the Buccaneers' 30-14 preseason win over the Titans on Saturday. There are no videos available for Sergio Bailey. Click here to view all videos.